Never be defeated in the fight for heart health! 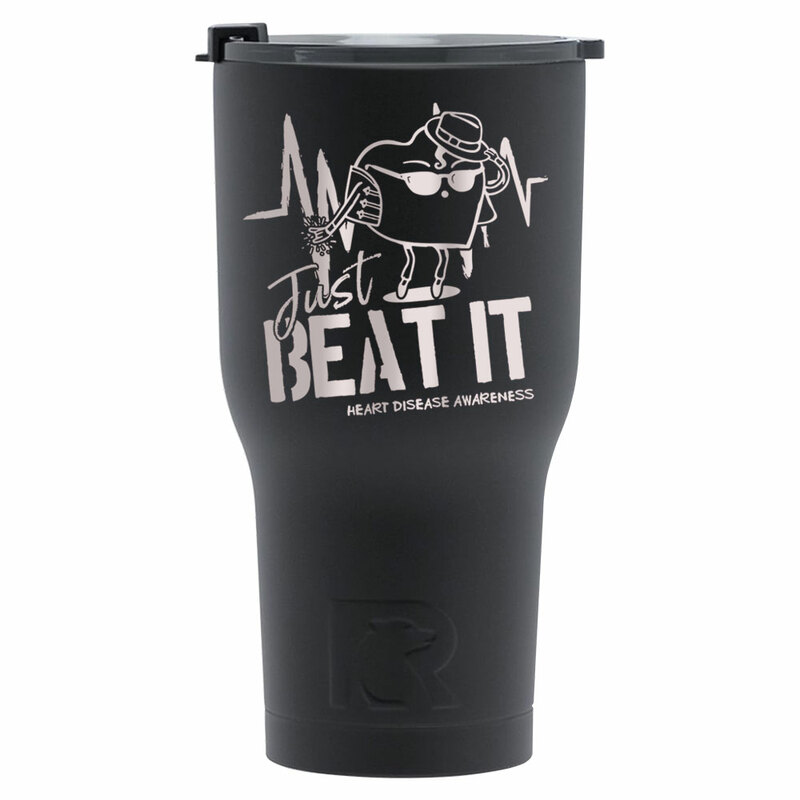 "Just Beat It • Heart Disease Awareness" is etched into 30 ounce double wall stainless steel RTIC&reg; vacuum insulated tumblers that hold your drink's hot or cold temperature for hours. Hand wash only.